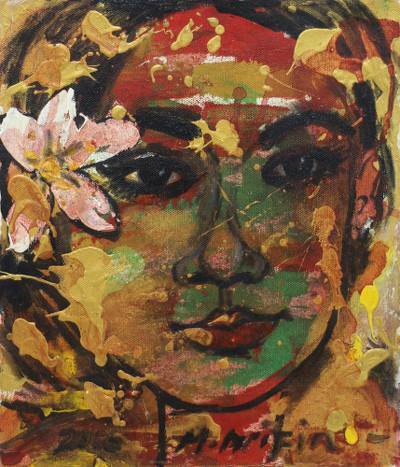 A beautiful woman with a flower tucked behind her ear is captured in this expressionist painting from Bali. Mohammad Arifin recalls the image of a young woman who once passed him in a village hall. He paints his subject with minimalistic forms, filling the spaces with a variety of vibrant and expressive colors.